P.D. 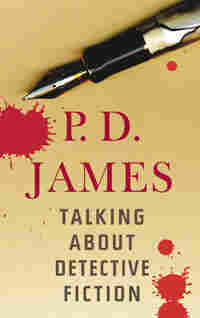 James, Talking And Writing 'Detective Fiction' The author of the Adam Dalgliesh mystery series has a new book, a nonfiction work called Talking About Detective Fiction. 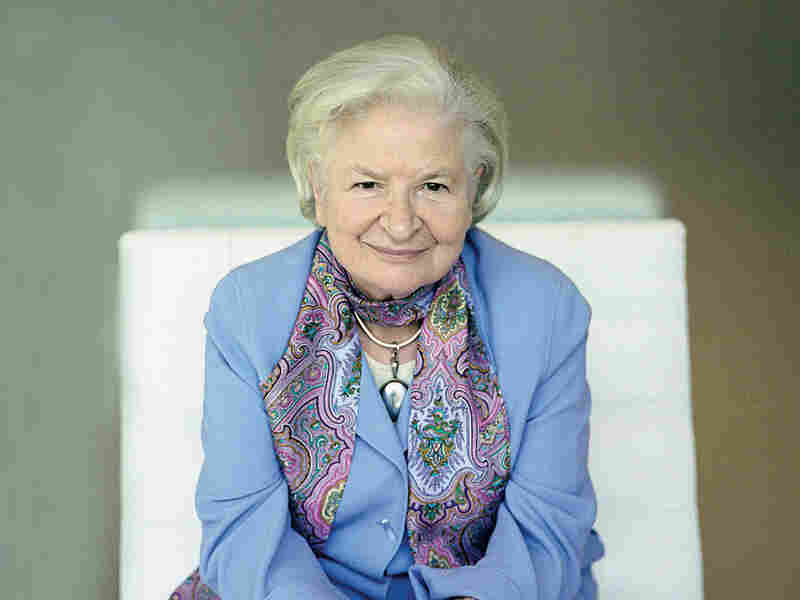 She tells Linda Wertheimer why we might be entering a second "golden age" for the detective story. P.D. James published her first novel, Cover Her Face, in 1962. P.D. James lists some classic examples of the detective-story form. P.D. 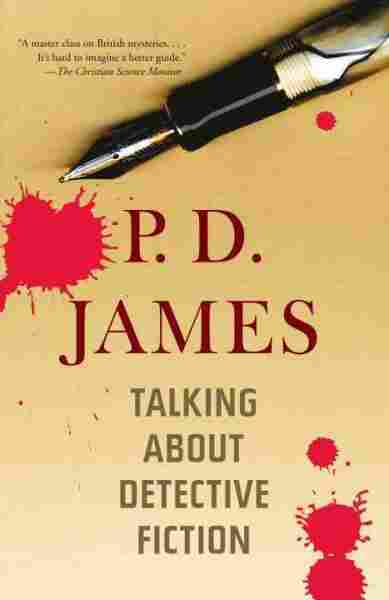 James has been writing detective fiction for nearly half a century. Her first book featuring the Scotland Yard detective Adam Dalgliesh, Cover Her Face, was published in 1962. It's no surprise that she's developed a finely honed definition of what makes for a good detective story. "What we have is a central mysterious crime, which is usually murder," James tells Linda Wertheimer. "We have a closed circle of suspects with means, motive and opportunity for the crime. We have a detective, who can be amateur or professional, who comes in rather like an avenging deity to solve it. And by the end, we do get a solution." James is also particular about the way a plot progresses, especially the manner in which the story's clues may be revealed to its protagonist. "The detective can know nothing which the reader isn't also told," she insists. "It would be a very, very bad detective story at the end if the reader felt, 'Who could possibly have guessed that?' "
James says she never expected to land on the best-seller list — she originally thought it would be "a wonderful apprenticeship for someone setting out to be a serious writer" — but the longtime fan has amassed a trove of knowledge about the genre. And she isn't keeping it under lock and key. James says that the detective genre, which shone most brightly during "the golden age" — the two decades between the first and second World Wars — has stayed fertile by pairing quality writing with time-honored conventions. In fact, says James, "I think we are entering a second golden age." That's partly because, as James sees it, the genre has something of a calming effect. "The theory is that the mystery flourishes best in times of acute anxiety and depression, and we're in a very depressed state at the moment," she says. The key to this appeal is the idea that no matter how puzzling the crime, a solution exists. "It's solved not by good luck or divine intervention," James says. "It's solved by a human being. By human courage and human intelligence and human perseverance. In a sense, the detective story is a small celebration of reason and order in our very disorderly world." Asked how the genre has changed since the first "golden age," James points to the incredibly ornate deaths upon which the plots of many classic detective stories rest. "Nowadays we look for greater realism," she says. "It's interesting if you can have an original method of death. But the book should be realistic. The people should be realistic. So I think we are trying to be truer to life and also to say something about the society in which we live." In her new book, James lists four authors who wrote during that "golden age" — all of them female — who helped to "[lift] a rather despised genre into a form which could be taken seriously": Agatha Christie, Dorothy L. Sayers, Margery Allingham and Ngaio Marsh. Of the four, James says she was influenced by Sayers' sense of plotting and the quality of her writing. She loved reading Christie's books, but never believed that the author's solutions had any relationship to reality. Rather, says James, Christie novels take place "in Christie-land, which is a very good place to be. [But] it's not reality." Still, all four gave the future writer who made a home in the genre a foundation on which to build. "They showed that it was important to write well," says James. "They were very clever in their plotting, and we do care very much about their heroes — of course their heroes are as different from a real life detective as they could possibly be." James notes that the sleuths that populate the popular series of Sayers (Lord Peter Wimsey) and Christie (Hercule Poirot and Miss Marple) have something in common, and suggest a warning to would-be detective authors: "Be very careful to create someone who isn't too eccentric." James named her detective Adam Dalgliesh after an English teacher. "I gave him the personal qualities I very much admire," James says. "I made him courageous but not foolhardy, very intelligent, sensitive and compassionate, but not sentimental." For 47 years, it's been a winning formula. "I haven't had to change him drastically in any way," James says. This book had its beginnings in December 2006, when, at the request of the Bodleian's Publishing Department, the then Librarian invited me to write a book on British detective fiction in aid of the Library. As a native of Oxford I had known from early childhood that the Bodleian Library is one of the oldest and most distinguished in the world, and I replied that I was very happy to accept the invitation but must first finish the novel on which I was then working. The book which I was privileged to write now makes its somewhat belated appearance. I was relieved that the subject proposed was one of the few on which I felt competent to pontificate, but I hope that the many references to my own methods of working won't be seen as hubris; they are an attempt to answer some of the questions most frequently asked by my readers and are unlikely to be new to audiences who have heard me speaking about my work over the years — nor, of course, to my fellow crime-writers. Because of its resilience and popularity, detective fiction has attracted what some may feel is more than its fair share of critical attention, and I have no wish to add to, and less to emulate, the many distinguished studies of the last two centuries. Inevitably there will be some notable omissions, for which I apologise, but my hope is that this short personal account will interest and entertain not only my readers, but the many who share our pleasure in a form of popular literature which for over fifty years has fascinated and engaged me as a writer. What Are We Talking About and How Did It All Begin? Death in particular seems to provide the minds of the Anglo-Saxon race with a greater fund of innocent amusement than any other single subject. These words were written by Dorothy L. Sayers in her preface to a volume entitled Great Short Stories of Detection, Mystery and Horror, Third Series, published by Gollancz in 1934. She was, of course, talking not of the devastating amalgamation of hatred, violence, tragedy and grief which is real-life murder, but of the ingenious and increasingly popular stories of mystery and detection of which, by that time, she herself was an established and highly regarded writer. And to judge by the worldwide success of Arthur Conan Doyle's Sherlock Holmes and Agatha Christie's Poirot, it is not only the Anglo-Saxons who have an appetite for mystery and mayhem. It seems that this vicarious enjoyment in "murder considered as a fine art," to quote Thomas DeQuincey, makes the whole world kin. "The king died and then the queen died" is a story. "The king died, and then the queen died of grief" is a plot ... "The queen died, no one knew why, until it was discovered that it was through grief at the death of the king." This is a plot with a mystery in it, a form capable of high development. To that I would add, "Everyone thought that the queen had died of grief until they discovered the puncture mark in her throat." That is a murder mystery, and it too is capable of high development. Novels which enshrine a mystery, often involving a crime, and which provide the satisfaction of an ultimate solution are, of course, common in the canon of English literature, and most would never be thought of in terms of detective fiction. Anthony Trollope, who, like his friend Dickens, was fascinated by the criminal underworld and the exploits of the newly formed detective force, frequently teases us in his novels with a central mystery. Did Lady Eustace steal the family diamonds, and if not, who did? Did Lady Mason forge the codicil to her husband's will in Orley Farm, a codicil from which she and her son had benefited for thirty years? Perhaps Trollope gets closest to the conventions of the orthodox detective story in Phineas Redux, in which the hero is arrested for the murder of his political enemy, Mr. Bonteen, and only escapes conviction on strong circumstantial evidence by the energetic efforts of Madame Max, the woman who loves him and obtains the vital clue which helps to convict the true murderer. Who is the mysterious woman in white in Wilkie Collins's novel of that name? In Charlotte Brontë's Jane Eyre, who is it that Jane hears shrieking in the night, who attacks the mysterious visitor to Thornfield Hall, and what part does the servant Grace Poole play in these dark matters? Charles Dickens provides both mystery and murder in Bleak House, creating in Inspector Bucket one of literature's most memorable detectives, while his unfinished novel The Mystery of Edwin Drood contains enough of the plot to encourage fascinating conjecture about how it was to be resolved. A modern example of a novel which enshrines a mystery and its solution is John le Carré's Tinker, Tailor, Soldier, Spy. This is generally regarded as one of the most distinguished modern novels of espionage, but it is also a perfectly constructed detective story. Here the central mystery is not an act of murder but the identity of the mole at the heart of the British Secret Service. We know the names of the five suspects, and the setting gives us access to a secret esoteric and cloistered world, making us privileged participants in its mysteries. The detective called in to identify the traitor is John le Carré's sympathetic serial hero George Smiley, with the help of his junior colleague Peter Guillam, and the solution at the end of the novel is one which we the readers should be able to arrive at from evidence fairly presented. But perhaps the most interesting example of a mainstream novel which is also a detective story is the brilliantly structured Emma by Jane Austen. Here the secret which is the mainspring of the action is the unrecognised relationships between the limited number of characters. The story is confined to a closed society in a rural setting, which was to become common in detective fiction, and Jane Austen deceives us with cleverly constructed clues (eight immediately come to mind) — some based on action, some on apparently innocuous conversations, some in her authorial voice. At the end, when all becomes plain and the characters are at last united with their right partners, we wonder how we could have been so deceived. Our interest's on the dangerous edge of things. Although the detective story at its highest can also operate on the dangerous edge of things, it is differentiated both from mainstream fiction and from the generality of crime novels by a highly organised structure and recognised conventions. What we can expect is a central mysterious crime, usually murder; a closed circle of suspects, each with motive, means and opportunity for the crime; a detective, either amateur or professional, who comes in like an avenging deity to solve it; and, by the end of the book, a solution which the reader should be able to arrive at by logical deduction from clues inserted in the novel with deceptive cunning but essential fairness. This is the definition I have usually given when speaking about my work but, although not inaccurate, it now seems unduly restrictive and more appropriate to the so-called Golden Age between the wars than it is today. Not all the villains are among a small group of obvious suspects; the detective may be faced with a single named or secret adversary who must be finally run down and defeated by logical deduction from observed facts and, of course, by the accepted heroic virtues: intelligence, courage and energy. This type of mystery is frequently a highly personal conflict between the hero and his prey, characterised by physicality, ruthlessness and violence, often amounting to torture, and even if the detective element is strong, the book is more appropriately described as a thriller than a detective story. The James Bond novels of Ian Fleming are the obvious example. But for a book to be described as detective fiction there must be a central mystery, and one that by the end of the book is solved satisfactorily and logically, not by good luck or intuition, but by intelligent deduction from clues honestly if deceptively presented. One of the criticisms of the detective story is that this imposed pattern is mere formula writing, that it binds the novelist in a straitjacket which is inimical to the artistic freedom which is essential to creativity, and that subtlety of characterisation, a setting which comes alive for the reader and even credibility are sacrificed to the dominance of structure and plot. But what I find fascinating is the extraordinary variety of books and writers which this so-called formula has been able to accommodate, and how many authors have found the constraints and conventions of the detective story liberating rather than inhibiting of their creative imagination. To say that one cannot produce a good novel within the discipline of a formal structure is as foolish as to say that no sonnet can be great poetry since a sonnet is restricted to fourteen lines — an octave and a sestet — and a strict rhyming sequence. And detective stories are not the only novels which conform to a recognised convention and structure. All Jane Austen's novels have a common storyline: an attractive and virtuous young woman surmounts difficulties to achieve marriage to the man of her choice. This is the age-long convention of the romantic novel, but with Jane Austen what we have is Mills&Boon written by a genius. And why murder? The central mystery of a detective story need not indeed involve a violent death, but murder remains the unique crime and it carries an atavistic weight of repugnance, fascination and fear. Readers are likely to remain more interested in which of Aunt Ellie's heirs laced her nightly cocoa with arsenic than in who stole her diamond necklace while she was safely holidaying in Bournemouth. Dorothy L. Sayers's Gaudy Night doesn't contain a murder, although there is an attempt at one, and the death at the heart of Frances Fyfield's Blood from Stone is a spectacular and mysterious suicide. But, except in those novels of espionage which are primarily concerned with treachery, it remains rare for the central crime in an orthodox mystery to be other than the ultimate crime for which no human reparation can ever be made. From Talking About Detective Fiction by P.D. James. Copyright 2009 by P.D. James. Published by Knopf. Used by permission of the publisher. All rights reserved.